Professor Bernard Prendergast was a Consultant Cardiologist and Clinical Director of Cardiothoracic Services at the John Radcliffe Hospital in Oxford until his recruitment to a high profile post as Consultant Cardiologist and Director of the Cardiac Structural Intervention Programme at Guys and St Thomas’ Trust in March 2015. Bernard trained in Cardiology in Cardiff, Paris and Edinburgh and undertook initial Consultant posts at WythenshaweHospital, Manchester (2001-2007) and the JohnRadcliffeHospital, Oxford (2007-2015). Professor Prendergast is a national and international key opinion leader and in frequent demand as a lecturer and speaker. He has been Honorary Secretary of the British Cardiovascular and Cardiovascular Intervention Societies and Chairman of the European Society of Cardiology Working Group on Valvular Heart Disease. Dr Prendergast has extensive experience in all aspects of Cardiology, is a clear communicator and strongly advocates the involvement of patients and families in their care and treatment decisions. Research interests focus on the epidemiology and treatment of valvular heart disease/infective endocarditis. 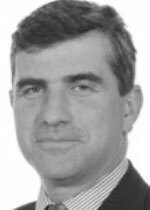 Dr Prendergast is course director of EuroPCR London Valves, the world’s largest specialist meeting in valve intervention. Dr Bernard Prendergast does not hold a share or financial interest in this hospital, another Nuffield Health hospital or the company. Dr Bernard Prendergast does not have a share or financial interest in equipment used at this hospital or another Nuffield Health hospital. Dr Bernard Prendergast does not hold any paid advisory role(s) at this hospital or on behalf of Nuffield Health.